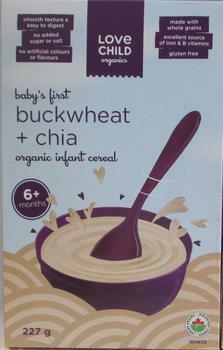 Greenspace Brands is recalling Love Child Organics brand Baby's First Buckwheat + Chia Organic Infant Cereal. The product may contain gluten, an allergen not declared on the label. Customers who purchased the recalled product and have a sensitivity to gluten should not consume it, but throw it away or return it to the store where purchased.